SUGI Fumi (later known with the name of KATORI Miwako), the main character of 2015 NHK Historical TV Series, was born in the village of Matsumoto located in the suburbs of Hagi castle town. Fumi was the younger sister of YOSHIDA Shoin, who was the leader and instructor of Shoka Sonjuku School, and she grew up in a poor but warm and happy home. Around Fumi many young men gathered to study under YOSHIDA Shoin and break into animated discussions day and night. Among these men there were KUSAKA Genzui, who then became her husband, and TAKASUGI Shinsaku. However, soon after the Kinmon Incident, her husband KUSAKA Genzui committed suicide. After that, Fumi continued to serve the MORI clan of the Choshu Domain, overcoming the commotion of the Bakumatsu period. Later, she changed her name to Miwako and became the wife of KATORI Motohiko, Governor of Gunma Prefecture, who was left widowed after the death of her sister. KATORI also felt very affectionate to Shoin and always respected him as a friend who lived through the turmoil of that time. Therefore, Miwako supported her husband in his efforts to improve Gunma industrialization and education. She died in 1921 at the age of 79 years. Our current exhibition displays several items related to the Shoka Sonjuku School showing the times that turned to be the stage for the TV series. Among them there are a YOSHIDA Shoin self-portrait and several historical documents left by the Mori clan, served by Fumi. 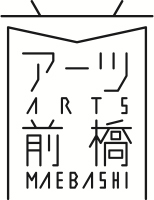 24 items of Hagi pottery from both the old and modern times of the city of Hagi, owned by Hagi Prefectural Museum of Fine Arts and Hagi Uragami Museum, will also be displayed at this special exhibition taking place at Arts Maebashi. KATORI Motohiko, first Governor of Gunma Prefecture, called for volunteering support from citizens, collected their contributions and built the Rinkokaku. This exhibition will also include the tea bowls and the water jugs that once were kept at the Soan Tea Ceremony House of Rinkokaku and were used to welcome honored guests. Admission: Adult 1200 (1000) yen, University students, Over 65 years old 1000 (800) yen. Fares in brackets are rates for groups of 10 more.